After a recent product roadmap suggested Xiaomi would be launching a Mi 7 Lite alongside the Xiaomi Mi 8 on May 31, it now appears this may not be the final branding of the smartphone. Instead, the device is now expected to take a leap out of Apple’s books by being sold under the Mi 8 SE name. 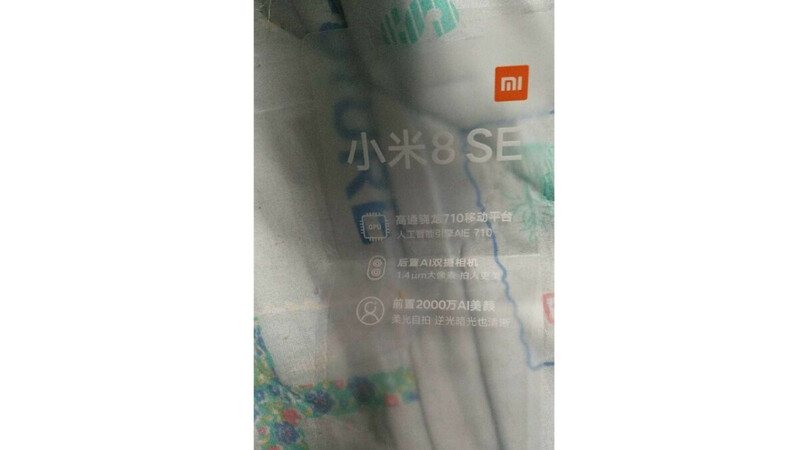 Now, in regards to the design, it’s currently unclear if the Mi 8 SE will resemble the regular Mi 8. If this is the case, though, a bezel-less design complete with a rather large notch can be expected up front, while the rear panel will also feature an iPhone X-like camera setup in the corner. However, considering the Mi 8 SE is expected to be a low-cost variant, the in-display fingerprint scanner featured on the flagship will most probably be removed in favor of a rear-facing sensor. Additionally, it’s unclear if the Face ID-rivalling technology expected to be included on the Mi 8 will also be present in the budget model. Nevertheless, certain hardware specifications do appear to have been confirmed. Specifically, the flagship Qualcomm Snapdragon 845 is said to have been replaced by the new Snapdragon 710 processor, which will likely be accompanied by either 4GB or 6GB of RAM. On the camera front, an unspecified dual-camera setup is present on the rear of the smartphone, enhanced by Xiaomi’s AI technology. Also, a 20-megapixel selfie sensor will be present on the front of the device alongside a flash. While, over on the software side of things, MIUI 10 can be expected alongside Android 8.1 Oreo. Xiaomi’s launch plans for the Mi 8 SE are currently unclear, but a global release is the most probable option. However, considering this is the company’s first smartphone to feature the Snapdragon 710, it’s unclear how Xiaomi will choose to price it. Alright cheap f**kers, we get you. You copy everything. Every single thing. Yeah, help me untrigger myself? Never failed a single USADA test y'all are on steroids. We get you, you believe anything. Every single thing. Before making judments you should know Xiaomi keeps their secrets very well and Chinese social media produces so many hoax. Do you remember Mi Mix 2s "leaks"? It turned out completely fake. Do you remember Mi6 leaks? Mi5s leaks? Mi5 leaks? Mi4? Just Google it, you will see every single of them turned out fake. I can't say those leaks are fake for sure, but considering the historical facts, it stands to reason that they are probably fake. I don't remember Mix 2s leaks, I don't remember Mi6, Mi5s, Mi5, Mi4 leaks no one buys them here. Best available phone brand value for money can buy. Period. You either ignorant or pissed off. But that will pass too. No one buys it here. I'm pissed off yeah really, Xiaomi is no-shame-copycat. Woow bro .. they even Took " The SE " name, i'm afraid next will be Apple's Logo itself. Well, the iPhone took the "plus" name from Samsung. Sure they did but Samsung didn't make "plus" popular, Apple did. What you're saying sounds like Apple made "plus" popular, so it's like Apple invented it. Which is like saying, "Tesla made electric cars popular so all credit should go to Tesla." Xiaomi Mi in Chinese looks like an “Airplane and then it Exploded!” (Posted just for fun).